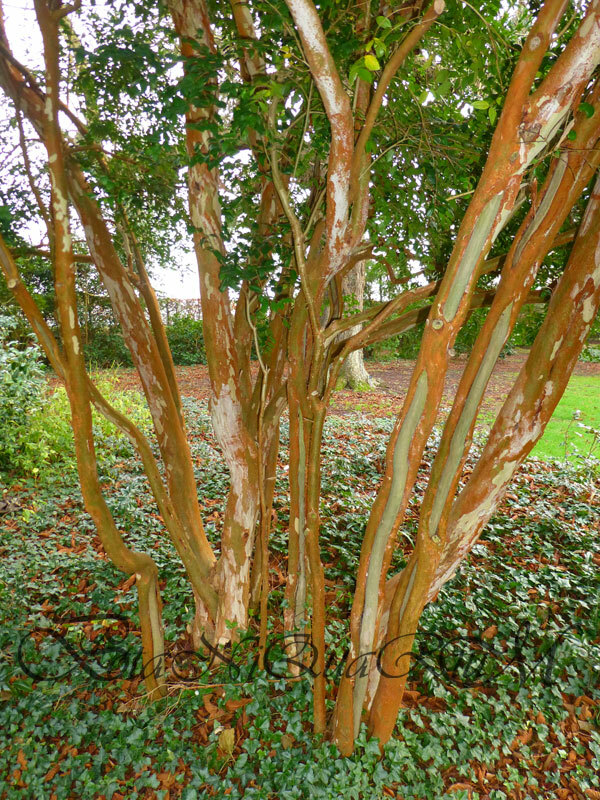 This evergreen tree grows usually as a multi-stemmed specimen. 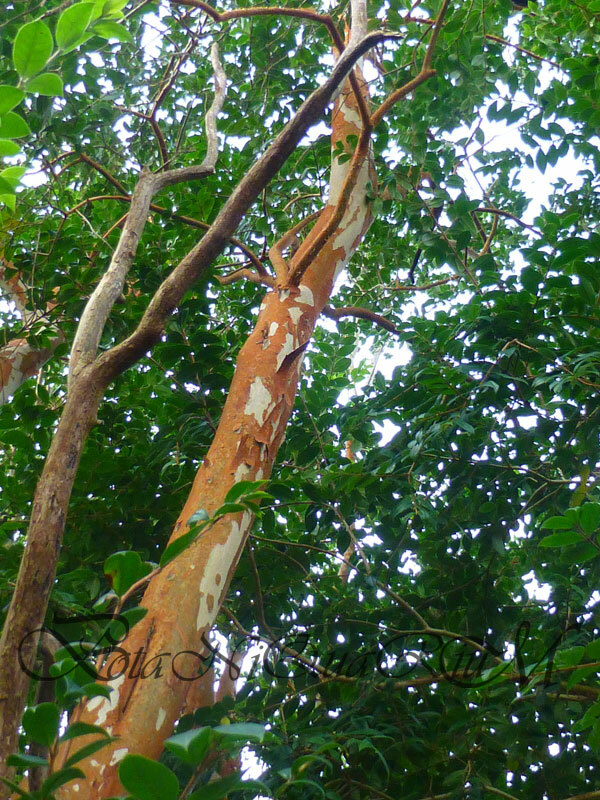 It flowers white during summer and shows off its very attractive bark all year round. 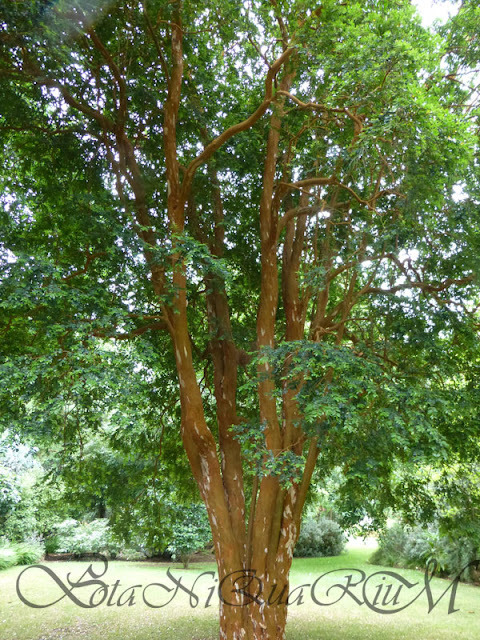 Luma apiculata mostly grows as multi-stemmed specimen. 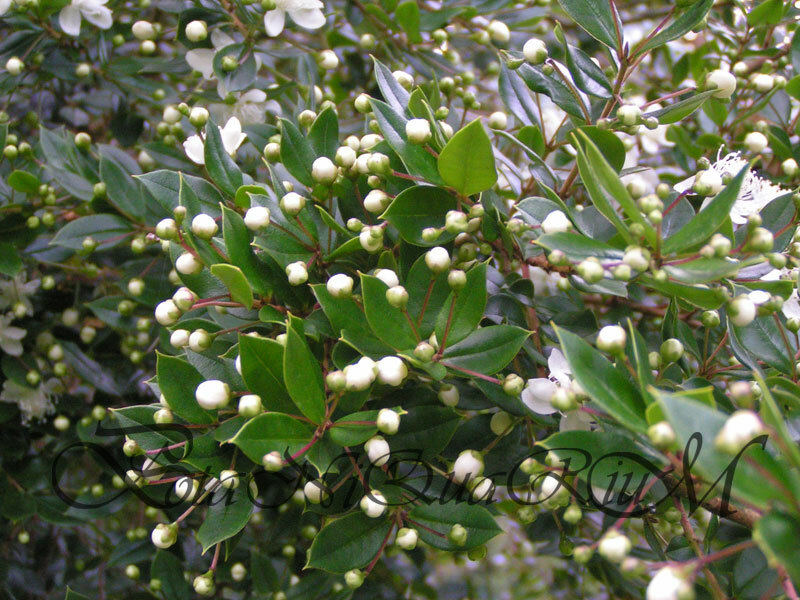 This lovely medium-sized tree grows vigorously and bushy. 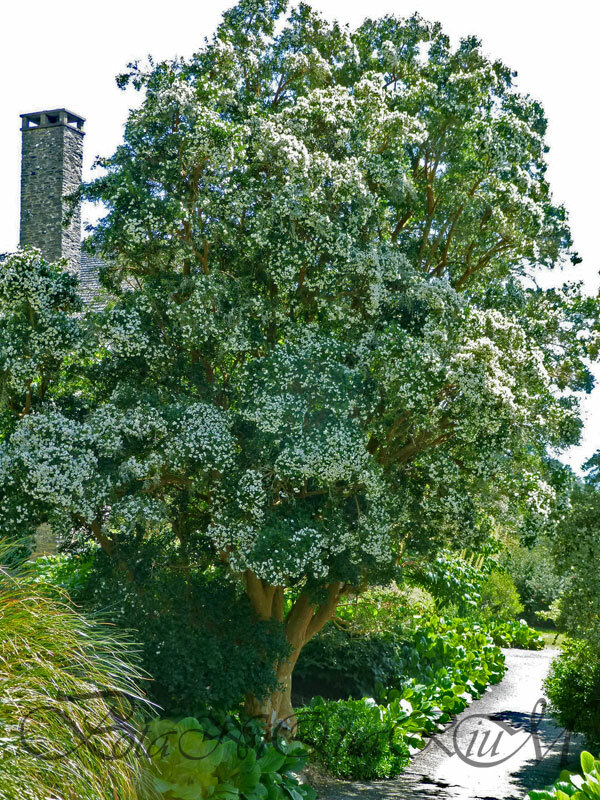 Because of its multi-stemmed habit many sources refer to it as a large shrub, however, it ultimately grows too tall to be labelled as a shrub. It has very attractive, peeling cinnamon- and cream-coloured bark, that exposes greener shades underneath. 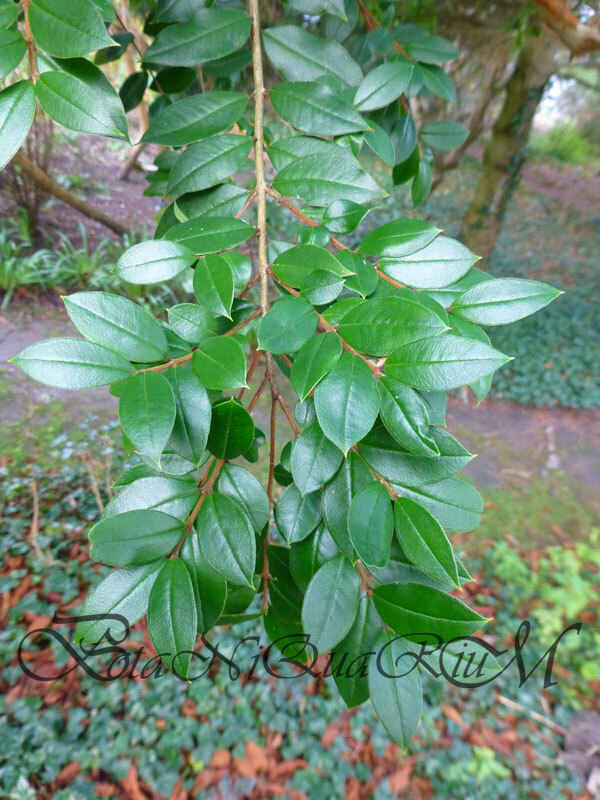 With simple, broadly ovate, entire, aromatic leaves that are glossy, dark-green in colour and evergreen. They feature an acute apex, which gives this species its name. 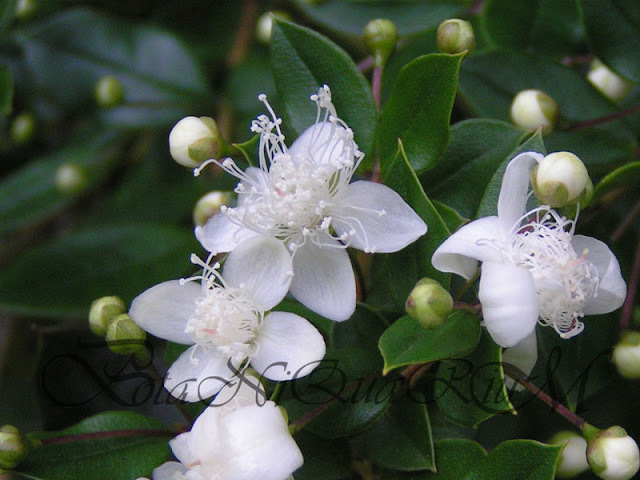 4- or 5-petalled, bowl-shaped and white flowers appear during the summer, much loved by bees. Purple to black fleshy fruit follow which are edible and taste sweet. 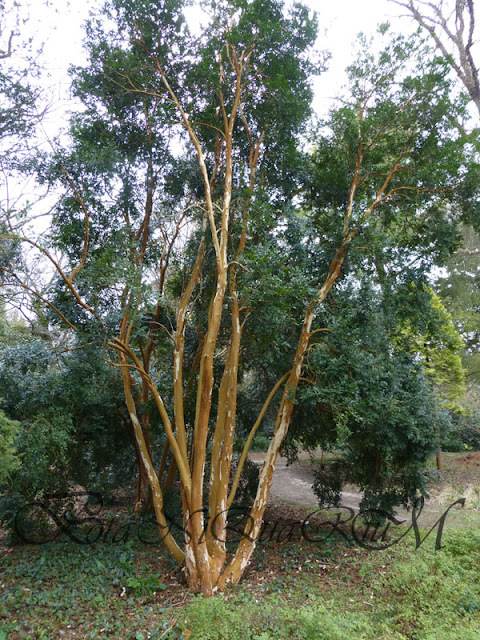 Luma apiculata was introduced to cultivation in 1843. White flowers are much loved by bees in the summer. The whole tree will be buzzing with bees when in flower. Cinnamon flakes reveal a white layer underneath. In exposed locations newly planted trees should be staked for about 12 months to avoid wind rock. After establishing remove stake. There is very little maintenance required. Newly planted young specimen can be trained as topiary or clipped as a hedge. If hard frost has damaged any shoots, cut back to healthy wood. It takes pruning very well and forgives mistakes thanks to its vigour. Also suitable for Bonsai-cultivation. In thriving conditions it self-seeds sometimes. Young plants can be easily removed or potted on. In summer semi-ripe cuttings can be rooted, as well as seed sown in a light soil-mix in autumn should work well. Frost protection is essential as this plant is not fully hardy in cold areas and young plants are more susceptible to frost damage. 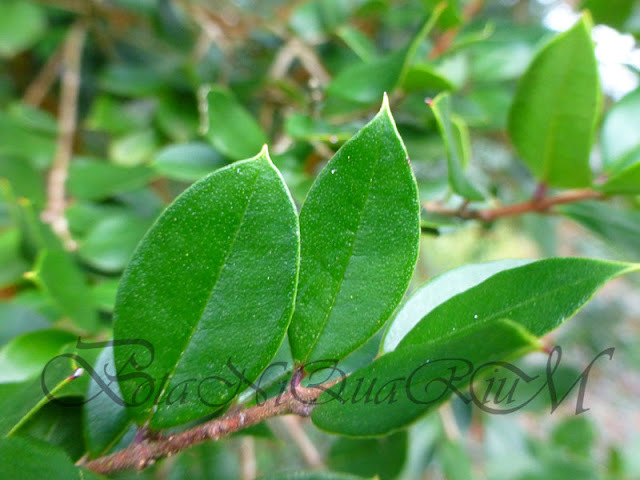 The evergreen leaves are small and pointy. Will grow in most conditions, will not tolerate watterlogged or boggy conditions, prefers hot and sunny locations but partial-shade is also ok. Thrives on moist sandy soils. Acidic as well as alkaline soils are fine, sandy, or loam. Does not like heavy clay soils unless the drainage has been thoroughly improved. 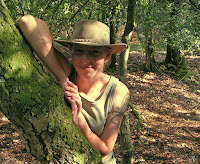 Pests and Diseases: Generally no problems. Leaves with an acute apex giving this species its name. 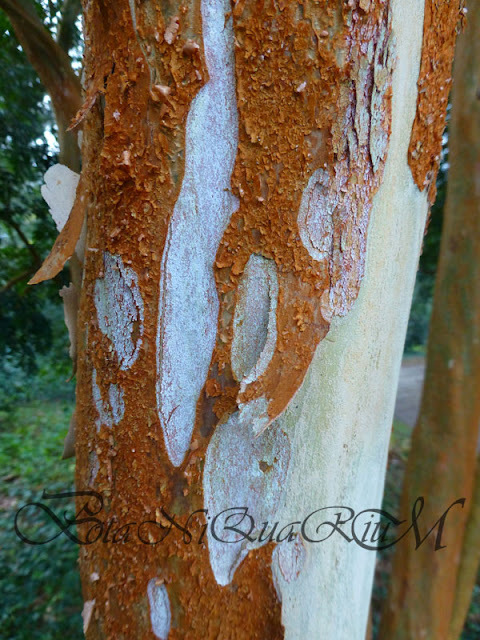 The very attractive bark shows all year round. Flower buds appear in the summer, promising sweet nectar for bees and co.